Finally caught her with her sails up. The tall ship Niagara sailing past the harbor tonight..
Battle of Mackinac Island, War of 1812 Bicentennial Commemoration. #war1812 — at Wawashkamo Golf Club. Good morning from Mackinac. Just wanted to share our lovely hanging flower baskets with you…..
A cruise ship yesterday, a #pirate #ship today. #MackinacIsland is a wonderful place. 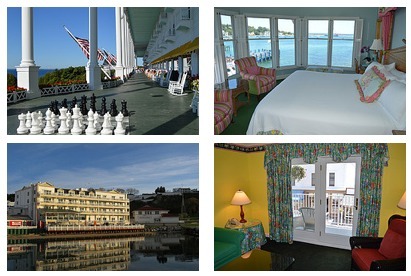 We welcome the Pearl Mist Great Lakes Cruise Ship to Mackinac Island! Down by the finish line…..
Down by the finish line. Windquest crossing the finish line. Beautiful day at Fort Mackinac! We’re ready for the 4th of July weekend at Mission Point!